The recently published ‘So You Think You Know About Dinosaurs‘ series covers five species so far. With wide ranging topics including dinosaur jargon, recent discoveries, fossil finding, dinosaur anatomies and identifying a real dinosaur, Ben is ambitious in his efforts to teach kids real science. These little books successfully bridge the gap between the dry, technical writing of college textbooks and the somewhat inaccurate, glossy picture books aimed at children. 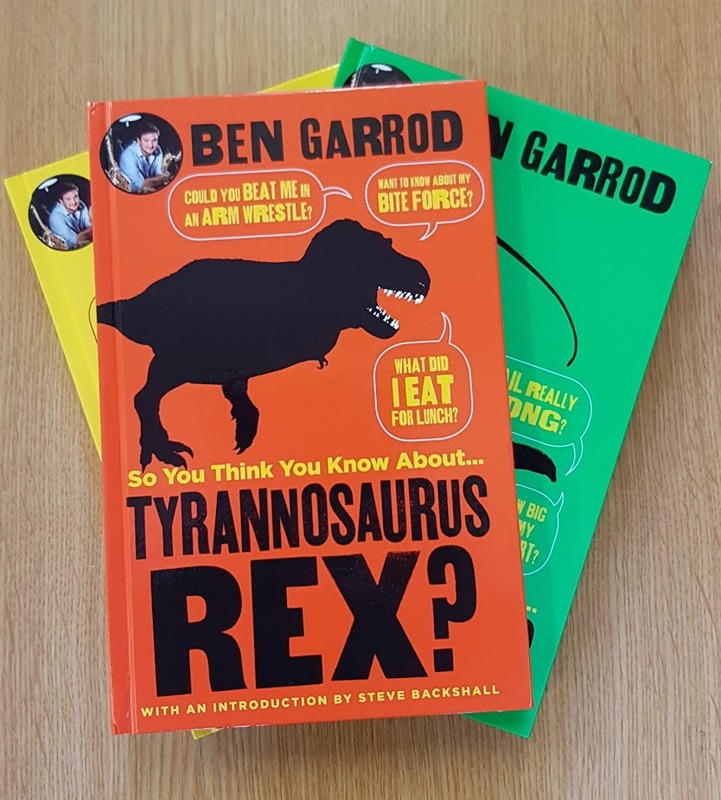 With total finesse, Ben presents real science in an accessible format without ‘dumbing down’, allowing child readers to engage fully with the facts of dinosaurs without being disheartened by too many baffling technical terms. 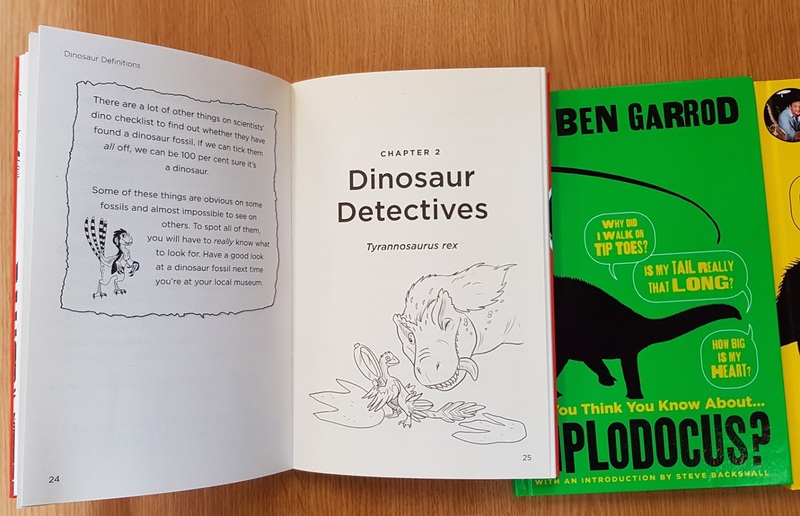 Although Ben does introduce some key terms and concepts (such as Arms-Races, Adaptations and Ecology), he explains them in a way that invites children (and 23 year old enthusiasts *cough-cough*) in to the fascinating field of palaeontology. Ben credits children with maturity and a real ability to understand, allowing them to fulfill their desires to be a real dino-experts. My personal highlights were the *Ask an Expert* sections, which allow real scientists in the field to communicate their work – something scientists can have few opportunities to do, especially to such a young audience. The captivating graphic-novel-esque cartoons by the wonderful Ethan Kocak round off each book, adding an element of creativity and complementing the engaging narratives centred on the everyday struggles a dinosaur might face in its life. However, being a total bone geek, my favourite parts are the details on the skeletons and what they tell us about the probable lifestyle of each dinosaur. The books feature superb artwork by Ethan Kocak. In an age where science is increasingly looked at with suspicion and doubt, this series is a celebration of everything that science is really about – curiosity, quest for knowledge and a determination to find truths, and I am in no doubt that they will inspire the next generation of young scientists/dino-geeks. 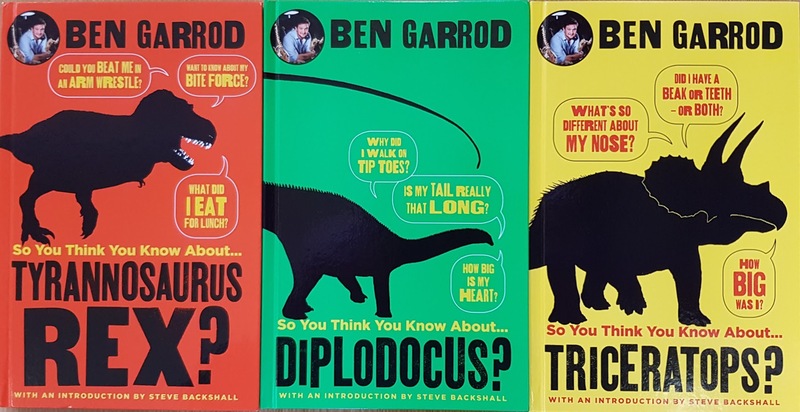 I know any child that is as much of an inquisitive and insufferable know-it-all as I was when I was a kid, will devour these delightful books in days, leaving them with a passion for more dino-knowledge and a lasting impression that science is for everyone.